Hartselle, AL – Cerrowire, a leading manufacturer of building wire and cable, announced the promotion of Stewart Smallwood to president, effective November 1, 2018. 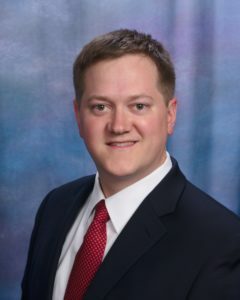 Smallwood joined the company in 2012 and has held positions in sales and distribution, including vice president of sales, and most recently served as the company’s general manager. During his time with Cerrowire, Smallwood has developed a data-driven sales strategy that aligns the company’s customers with the strengths of the four plants. He also led cross-functional teams focused on process flow and delivery. He continues to build a culture and implement communications strategies throughout the organization to encourage the exchange of ideas. “Stewart has done an outstanding job since joining Cerrowire in sales in 2012. His tenure at Cerrowire, combined with his previous experience in electrical distribution, have well prepared him for his new role,” commented Jared Argyle, sector president of Marmon Electrical Products – parent company of Cerrowire.